Infinite series of boundary conditions that are consistent with even-order higher symmetries and ensure the integrability of a Burgers type equation are constructed. 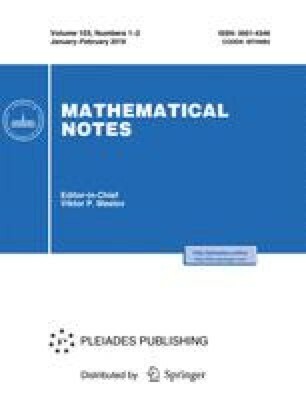 Translated fromMatematicheskie Zametki, Vol. 60, No. 6, pp. 888–901, December, 1996. This research was supported by the Russian Foundation for Basic Research under grant No. 93-011-16008 and by the International Science Foundation under grant Nos. MLY00 and RK2000.